Earlier this month Duke University appeared in the news amid a minor controversy where a school administrator was offended by the rap music playing in a campus coffee shop and complained resulting in the employees (an African American woman and a Caucasian man) on duty getting fired. Later in the same month an African American graduate student at Yale had the police called on her for taking a nap in the common area of her own dormitory. Still later, a Korean female student at Cornell was reprimanded for her “inappropriate dress” during a practice run of her thesis defense and protested by stripping to her underwear during her actual thesis defense. Finally, a white student at Kent State University has faced criticism for displaying excessive white privilege for carrying her AR-10 rifle around campus for photos in a state where people of color have been shot on numerous occasions for holding toy guns. All of these instances went viral and received great attention on social media. 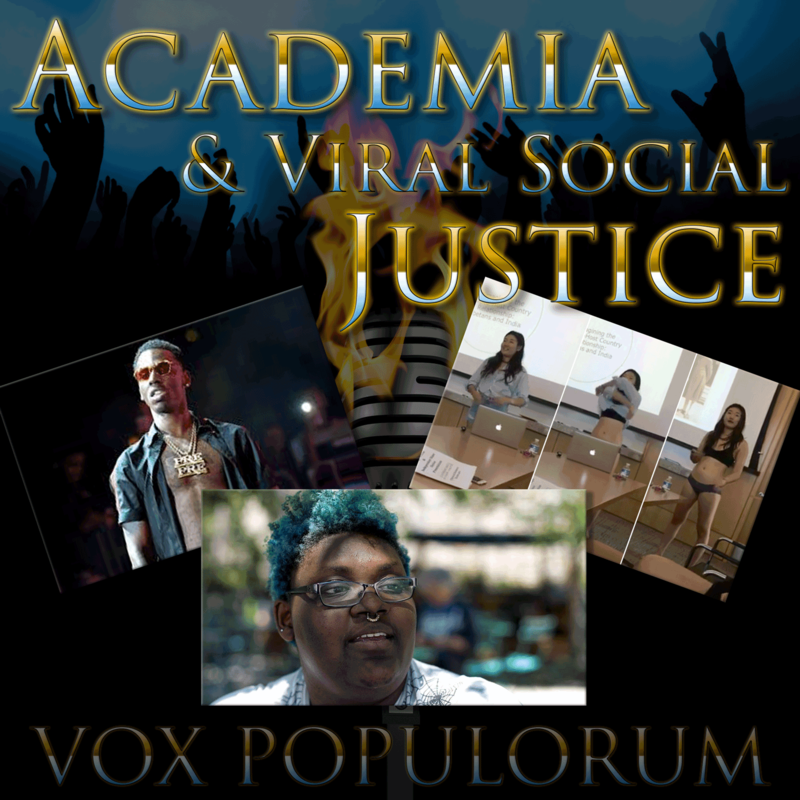 On this episode of Vox Popcast, Katya, Wayne and Mav discuss the responsibilities of the University towards social justice and diversity, the ways in which certain policies might be considered inherently biased towards gender or race, and the coverage these stories receive on social media.